Experior® is the most reliable, energy efficient and user-friendly wastewater pumping system available on the market today. Experior combines N-technology pumps, premium efficiency motors and SmartRun, the intelligent controls, to bring you an outstanding pumping experience. Our modular product range ensures that Experior can be tailored to your specific needs. 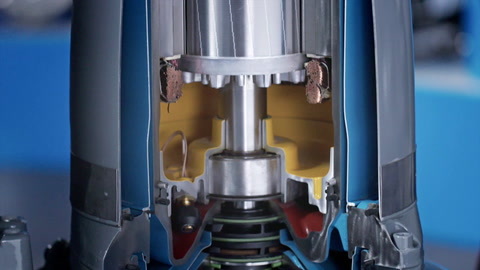 Your pump station gains higher reliability, and you can gain 50% savings on your energy bill. The innovative N-technology revolutionized wastewater pumping with sustained high efficiency and self-cleaning operation, enabling lower life cycle costs for your pumping solution. The Adaptive N-hydraulics is the latest innovation to further improve the self-cleaning characteristics and unmatched clog-free performance. Flygt N-technology pumps enable you to achieve substantial energy savings with at least 25% on your electricity bills. SmartRun incorporates truly simplified, user-friendly functions. These functions have been developed and optimized to achieve maximum pumping reliability, large energy savings and intelligent process control within wastewater pumping. All parameters have been pre-programmed to make the installation fast, simple and inexpensive. All you need to do is simply press the Start button to start up your pump station. The SmartRun intelligent control includes all the software you need to leverage the full benefits of intelligent variable speed pumping. Flygt specialists and engineers utilize cutting-edge calculation programs to develop motors that are optimized for wastewater applications. Tested in our own Canadian Standards Association (CSA) certified test laboratory, these motors achieve the highest reliability meeting international premium motor efficiency standards.